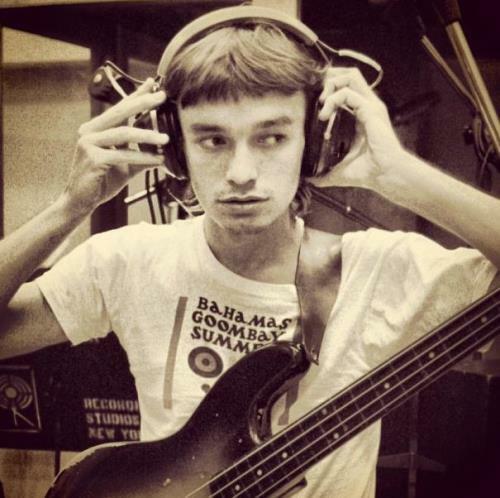 Jaco Pastorius was an American jazz bass player and composer. Having developed the original style and technique of playing the instrument, he became one of the most authoritative bassists of the second half of the 20th century. Pastorius is best known for his work with Weather Report from 1976 to 1981, as well as working with Joni Mitchell and his own solo projects. John Francis Pastorius III was born on December 1, 1951 in Norristown, Pennsylvania. His father was famed jazz drummer Jack Pastorius. Until he was thirteen, Pastorius had played only percussion. Soon he became a local wonder because of his bass craft. 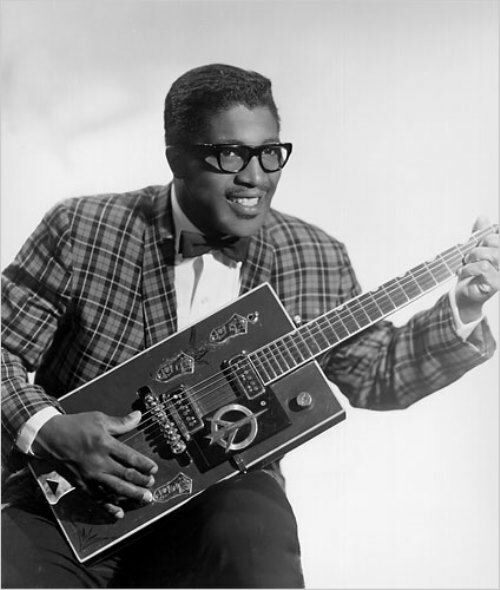 Bo Diddley is an American singer, guitarist, songwriter. He helped build the rhythmic foundations of rock and roll with a string of hits during the mid-1950s. He received an honorary Grammy Award for Life Achievement (1998) and is one of the twenty greatest musicians in the history of rock and roll (according to Rolling Stone magazine). In 2005, Bo Diddley celebrated the sixtyth anniversary of his musical career in Australia and Europe. In May 2007, the musician suffered a stroke on the stage right during the concert, after which he lost the ability to speak. Diddley was born Ellas McDaniel on December 30, 1928 in McComb, Mississippi. At the age of eight he moved to Chicago where he was undoubtedly exposed to these traditions. 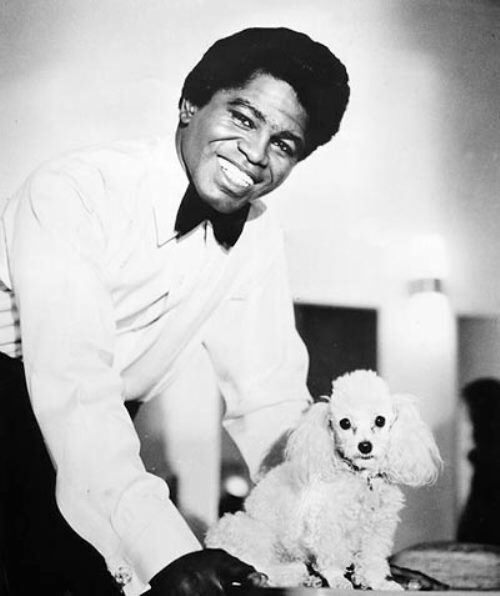 James Brown was an influential African- American singer in the 1950s and 1960s. He was also called the Godfather of Soul, Soul Brother Number 1, The Hardest Working Man in Show Business. His relentless energy and insatiable appetite kept him in the headlines. Brown is a member of the Rock and Roll Hall of Fame and has won numerous awards for his recordings. James Brown Jr was born on May 3, 1933 in Barnwell, South Carolina. The family lived in a shack in the woods without plumbing or electricity. His father made a living by selling tree tar to a turpentine company. He was the only child in the family. His mother left when her son was just four years old. The boy moved to his aunt’s Georgia home, where he met blues guitarist Tampa Red, who taught the young man guitar. Leon Austin and a Mr. Dink taught him piano and drums respectively. Brown earned money for rent and clothing by buck dancing for soldiers and by shining shoes. 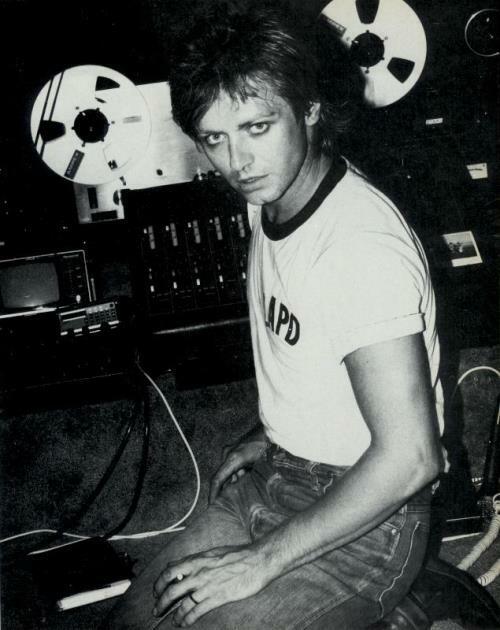 Benjamin Orr was an American rock singer and bass player, best known as the founder and member of the rock band The Cars. Benjamin Orsechowski was born on September 8, 1947 in Cleveland, Ohio, into a family of Russian and Czechoslovak parents. He shortened his name upon turning professional. Young Benjamin was expelled from high-school with one ambition in mind to achieve success. It was a slow process, however. He was a leader of Ohio rock band The Grasshoppers filling most band roles at one time or another. In 1965, the band released two singles – Mod Socks and Pink Champagne (And Red Roses), the last of which was composed by Orzhechowski. The group disappeared in 1967, when two of its members were drafted into the army. 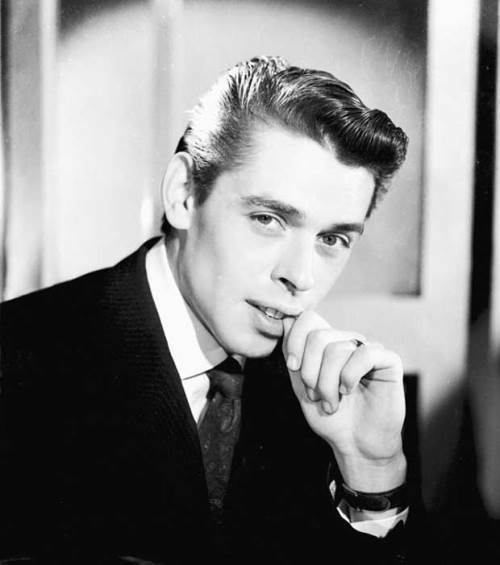 Jacques Brel (April 8, 1929, Scharbeck, Belgium – October 9, 1978, France) was a Belgian French-speaking poet, bard, actor and director. Jacques was more of a fine artist than songwriter. His compositions are full of passion, action and location. At school he did not study brilliantly, but from an early age took part in amateur theater performances. His father forced Jacques to join the family business. In 1951, Brel married Teresa Michilsen, in the same year they had a daughter. In his early twenties he relocated to Paris. 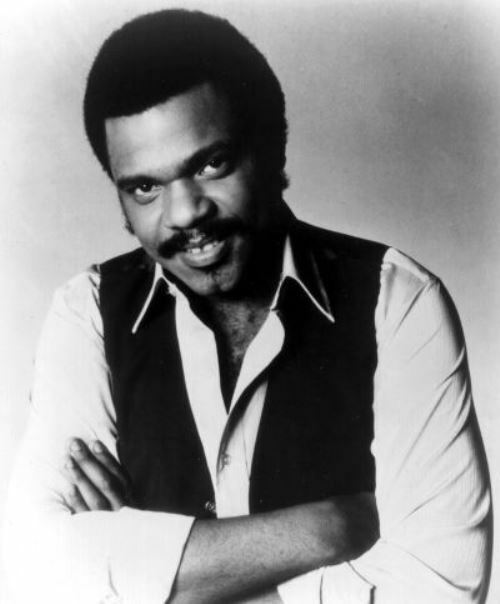 Billy Preston (September 2, 1946, Houston – June 6, 2006, Scottsdale) was an American keyboardist. During his musical career, he worked with such performers as Mahalia Jackson, Nat King Cole, Ray Charles, Sam Cook, Little Richard, Bob Dylan, The Beatles, The Rolling Stones, Aretha Franklin and Elton John. His career embraced soul, R & B, gospel and rock ‘n’ roll. William Everett Preston was a child prodigy. Since early childhood he had been playing the piano on his mother’s knee. At the age of ten he performed for gospel giants Mahalia Jackson and James Cleveland. 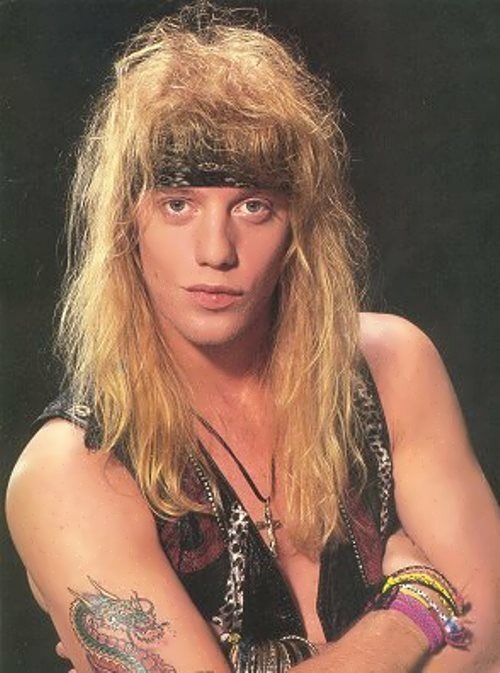 Jani Lane was an accomplished pianist, guitarist and drummer. He was a songwriter, frontman and leader of the American glam metal group Warrant. The band was popular in the late 80s and until the mid-90. John Kennedy Oswald (his real name) was born on February 1, 1964 in Akron, Ohio. He was one of a huge family of talented musicians. By the age of 11 he was playing the clubs. After graduating from Field High School, Lane joined the Cyren group as a drummer. In 1983 he moved to Florida and founded the group Dorian Gray. In Dorian Gray, he played drums until the formation of the Plain Jane group with a future Warrant colleague Steven Sweet. It was at this time that Lane took the stage name Jani Lane.